Compass is a two-day workshop for diverse undergraduates interested in philosophy. The goal is to provide undergraduates from underrepresented groups a chance to meet each other, and to explore various sub-disciplines within philosophy, in a relaxed and supportive environment. The workshop features six pre-read paper discussion sessions led by graduate students, in addition to two advice sessions with faculty mentors. The idea for Compass grew out of a regular reading group organized by female graduate students at Princeton for female undergraduates interested in pursuing philosophy. Both the reading group and the Compass Workshop are initiatives of the Princeton chapter of MAP (Minorities and Philosophy). 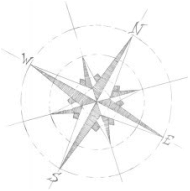 The name “Compass” is a pun on MAP: the workshop is intended to help undergraduates “find their way” in the discipline. One of the chief inspirations for Compass has been the Networking and Mentoring Workshop for Graduate Student Women in Philosophy.